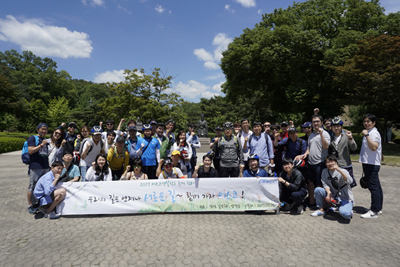 All employees of ESCO gathered on Paldang Station, rented bicycles and had a bike trip from Paldang to Yangsu. 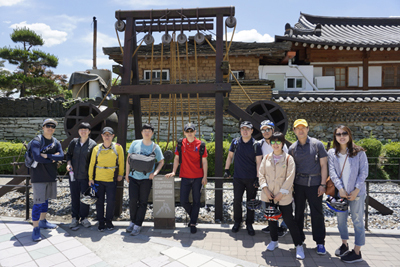 During the trip, we stopped by Historic Site of Dasan. And we had a guided tour that inspired us with Dasan Yak-Yong Jeong's trace of life. Through his works we have felt his concern about the future and the love for the people. Also, we watched a beautiful scenery of Dumulmeori after lunch. Being away from the office, we had the opportunity to feel the breeze coming off the river and had a wonderful bonding time together.